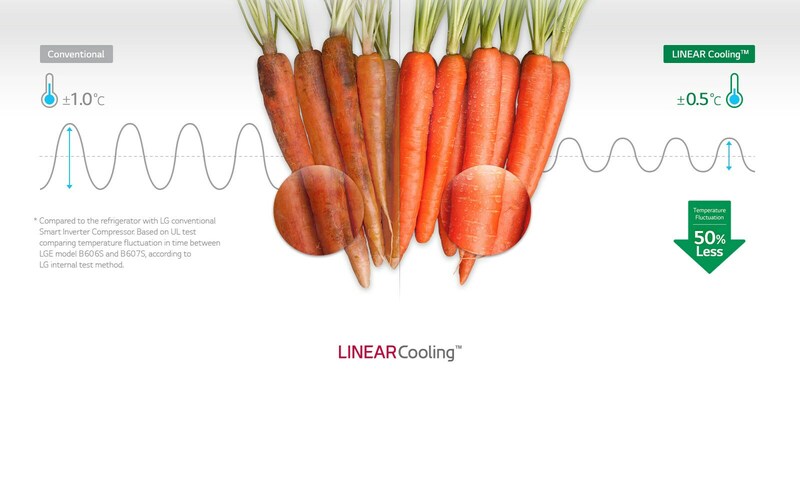 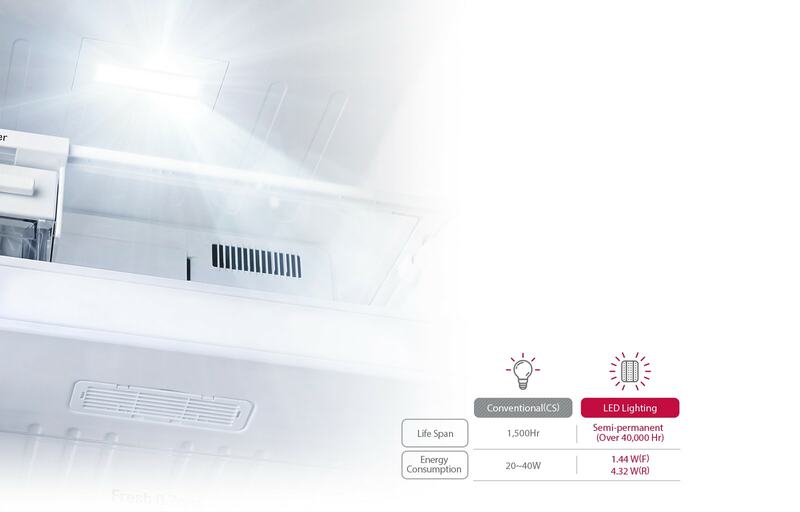 LG DoorCooling+™ makes inside temperature more even and cool 35 quicker than conventional cooling system. 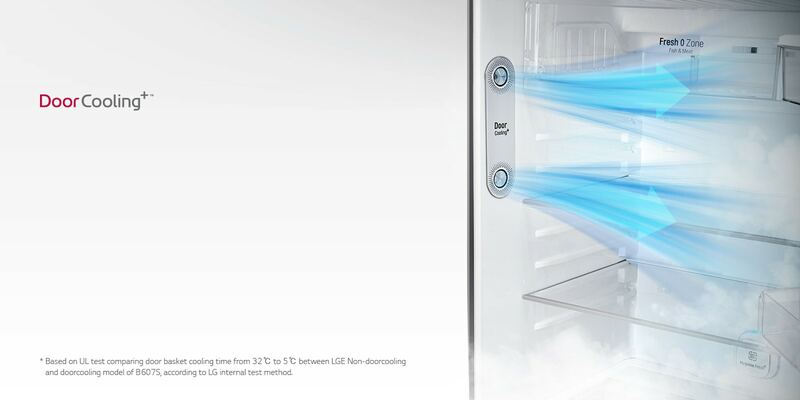 HygieneFresh+™ air filter can remove bacteria up to 99.999%, but also minimize bad odor in the refrigerator. 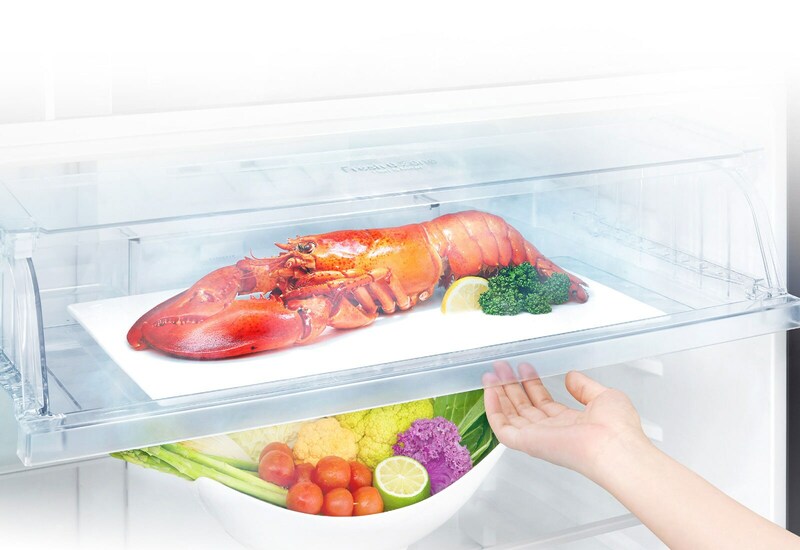 Touch LED Display provides the pleasure of operating and enhances elegance of your refrigerator. 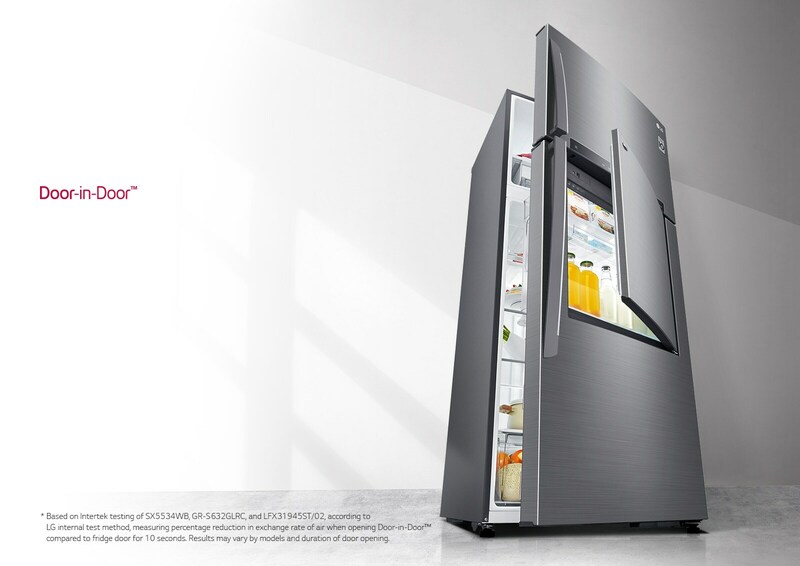 For those who open the refrigerator door often, Door-in-Door™ feature allows you to reach your favorite beverages and snacks easily. 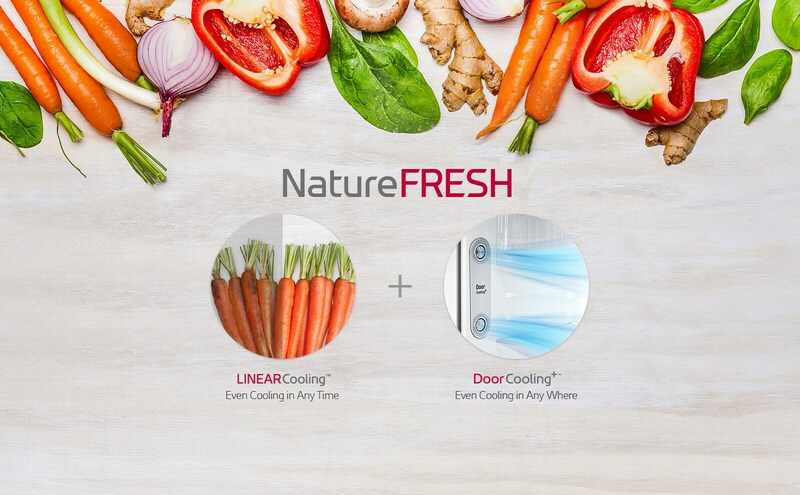 Additional door baskets give you another solution to keep your refrigerator organized with less cold air loss up to 41%*. 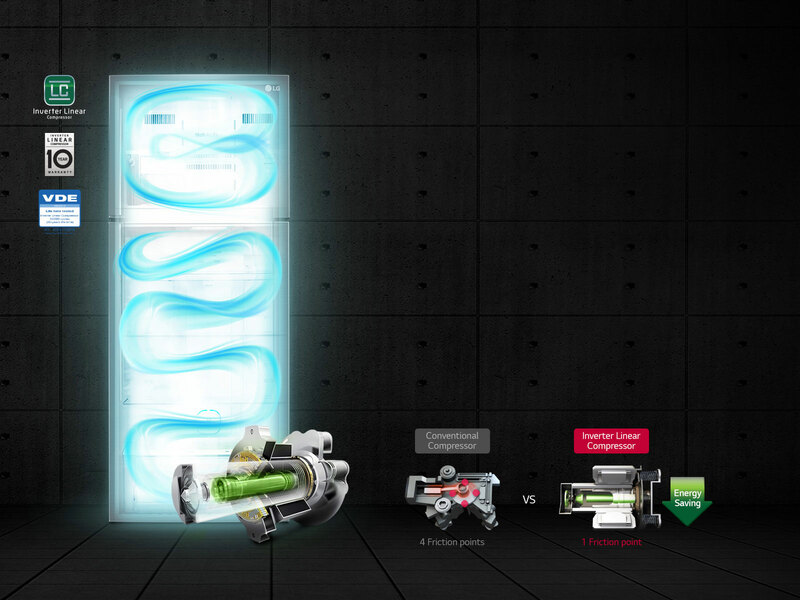 With Smart ThinQ™, you can control and diagnose your refrigerator by your smart phone even when you’re not at home. 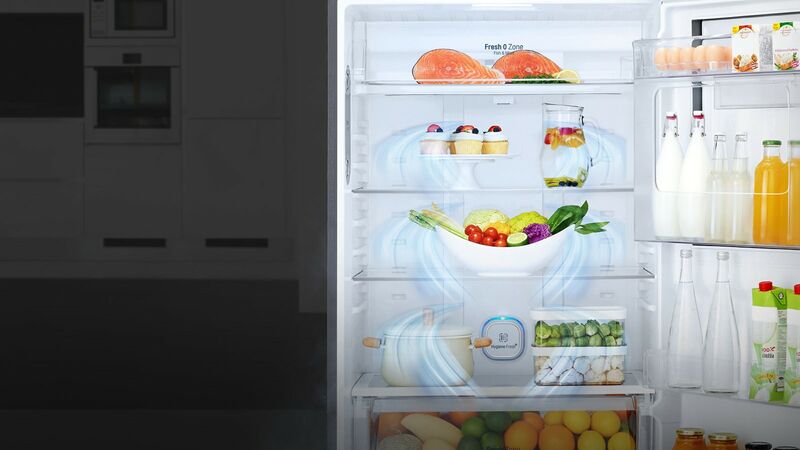 Easily set the refrigerator temperature, control HygieneFresh+™, and diagnose your refrigerator with simple touch on your smart phone.